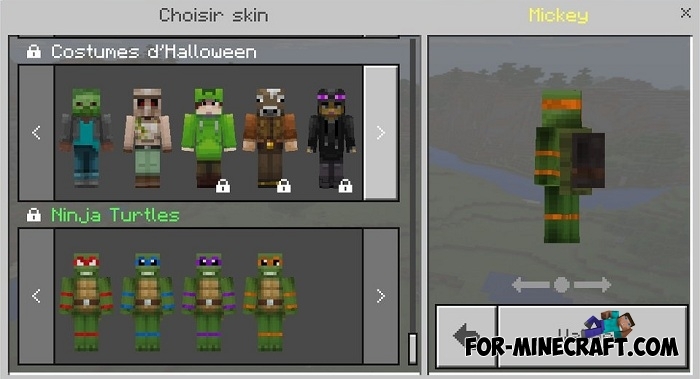 This skin pack includes skins of the main characters from Ninja Turtles: Rafaelo, Michelangelo, Leonardo and Donatello. All of them are made in 3D style meaning convex details, for example turtle shell. You just need to open the downloaded file and then select the skin. 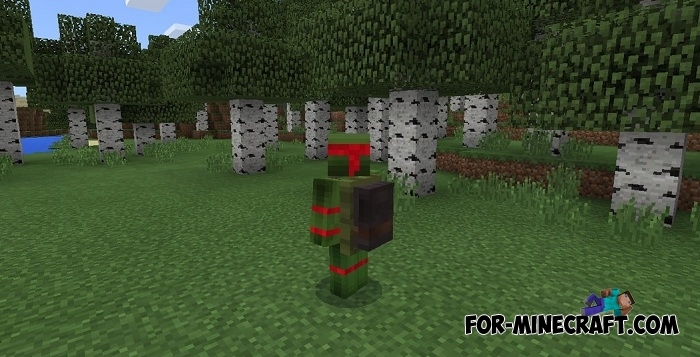 Playing only with skins is not such a fun activity, so we suggest you install the Ninja Turtles mod that adds weapons, baddies and abilities to Minecraft PE.